When I was visiting Paris last year, there was one thing I really wanted to do before coming home. 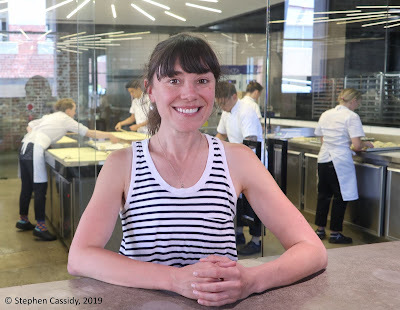 I had read an article in the Sydney Morning Herald Good Food about how Melbourne woman, Kate Reid, had abandoned plans to be a Formula One racing engineer to become an ace croissant maker, after discovering there was more in life to excite her. Ace croissant maker, Kate Reid. She had discovered a bakery in the Northern Marais district in Paris, Du Pain et des Idées, that made the best croissants she had ever encountered. She persuaded the owner, Christophe Vasseur, to take her on as an apprentice, which he did, recognising the same passion in her as the one that drove him. She then returned to set up Lune bakery in Fitzroy in Melbourne, which has since gone crazy. 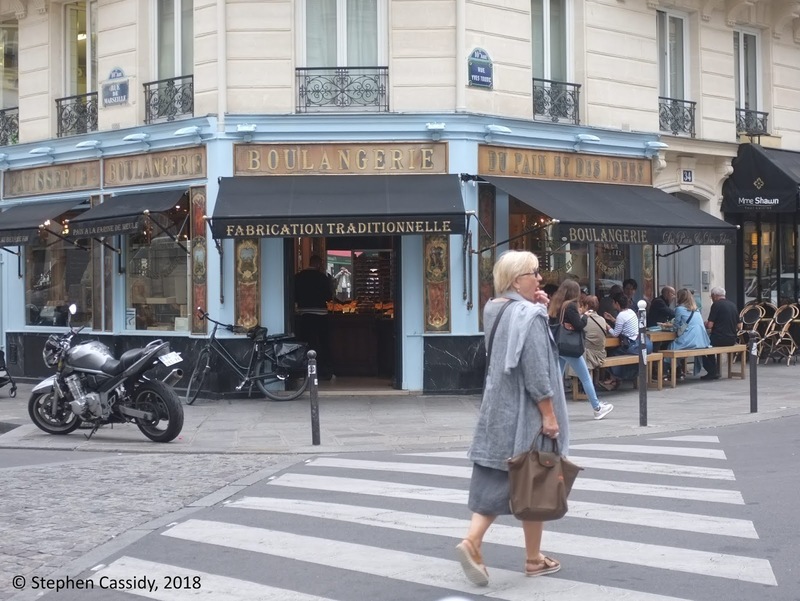 In Paris, my fellow traveller and I took the Metro to the bakery for breakfast, where we discovered we were sharing a table with two groups of Australians – and a couple of Alaskans. I assumed there were so many Australians there because of the connection with Lune. 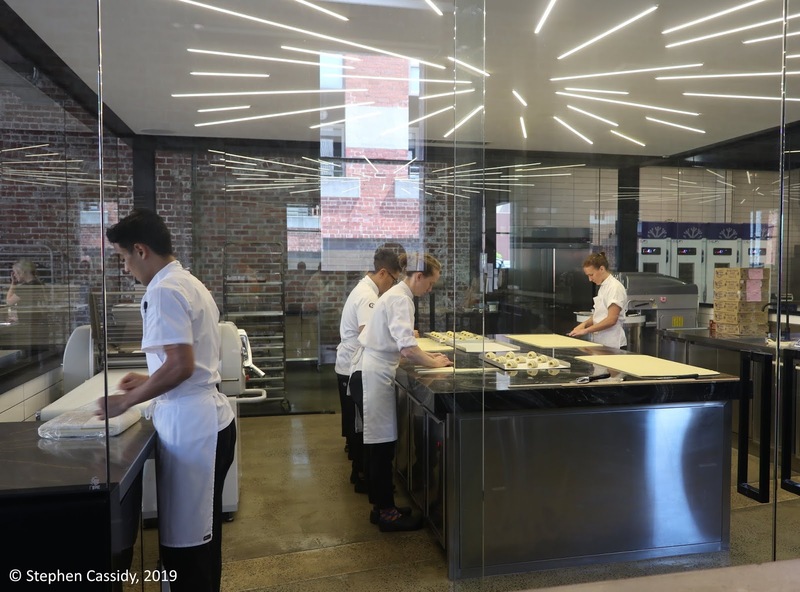 However, while the Australians were all very familiar with Lune and its croissants, none of them knew about the French connection – that the expertise now on display in Melbourne had originated in the very bakery where they were sitting. I personally had never been to Lune, but I had been extremely impressed by the inspiring article about following a dream, so I proceeded to tell everyone at the table about it. Needless to say they were all fascinated to hear about the Australian link to the excellent pastries they were so obviously enjoying. 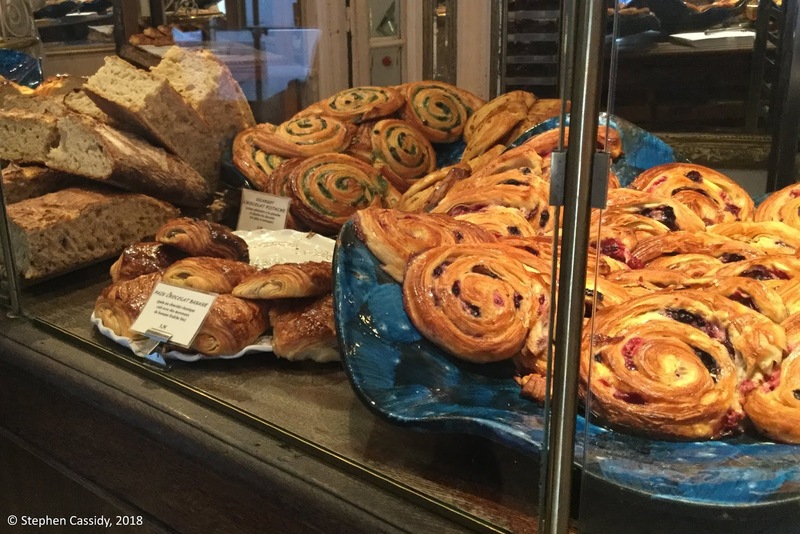 Pastry counter, Bakery Du Pain et des Idees, Paris. When I got back to Australia, I emailed Kate Reid to tell her, because no-one ever hears these sort of weird stories about themselves and what they’ve done. 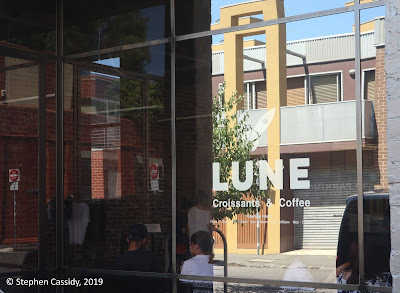 She was charmed by the story and said to come and visit Lune if we ever found ourselves in Melbourne – so passing through Melbourne last month, we did. I thought my story was good but in Melbourne I heard an even better one. Kate told me that on one visit to Paris after setting up her bakery, she had returned to Du Pain et des Idées for a visit. While sitting outside, she struck up conversation with two other Australian who happened to be there as well. They mentioned Lune and the fact that its founder had trained at Du Pain et des Idées but added that the croissants at Lune were far better than those from the bakery outside which they were sitting. One of those in that conversation in Paris was shocked months later to walk into Lune and see Kate – commenting that she didn’t realise Kate worked there. Of course, the test of any creation is how good it is. I personally don’t like croissants all that much, though I do like a good story – but my fellow traveller definitely knows a good croissant when she meets one. According to her, they are right up amongst the best. Here's to more crossing of boundaries and doing things (almost) completely differently.